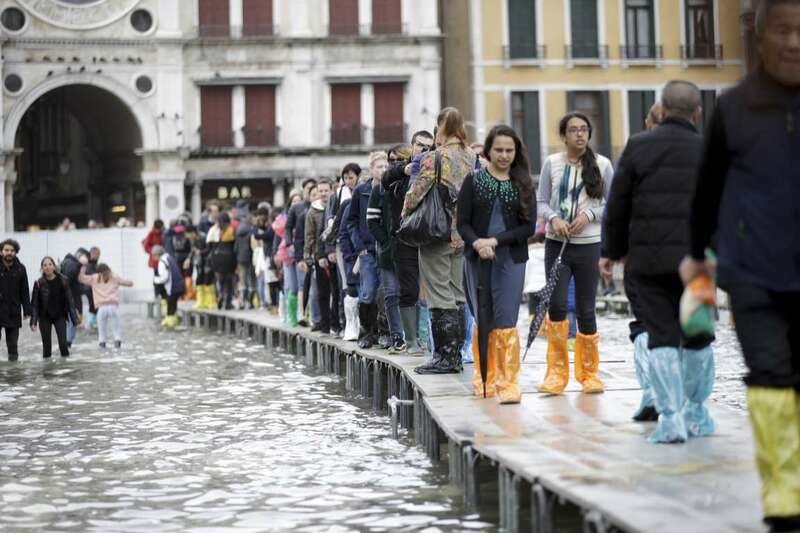 Tourists walk on wooden platforms in flooded St. Mark's Square in Venice, Italy, Thursday, Nov. 1, 2018 as rainstorms and strong winds have been battering the country. Heavy rain and gales devastating parts of Italy have claimed two more lives, taking the overall death toll to at least 17, and laid waste to vast swathes of forest. 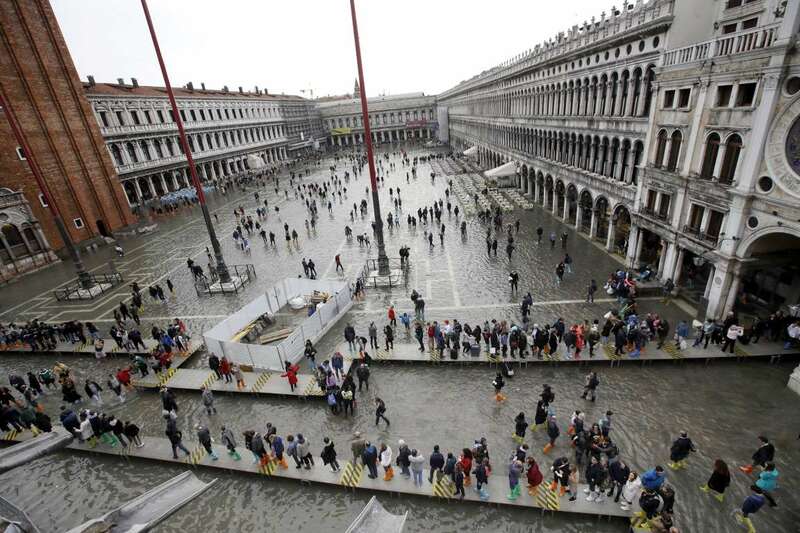 Tourists cross flooded St. Mark's Square in Venice, Italy, Thursday, Nov. 1, 2018 as rainstorms and strong winds have been battering the country. 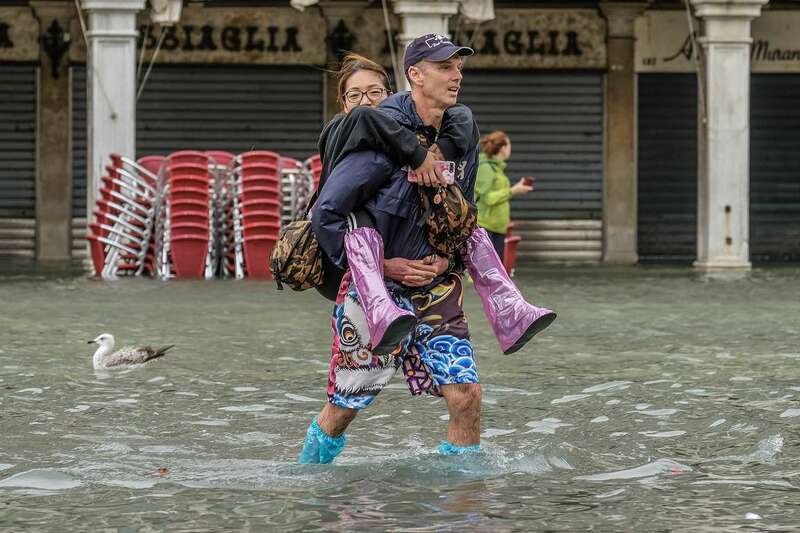 A tourist carries his girlfriend through the water on October 29, 2018 in Venice, Italy. Angelo Borrelli, head of the Civil Protection agency, said Veneto had seen winds of up to 180 kph (112 mph), and that the situation there was "apocalyptic."